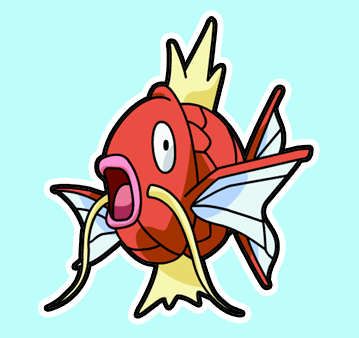 MagiKarp is a water-type Pokemon who looks just like a fish (most likely resembles a Carp). This Pokemon character has amazing splashing power in which it can make himself leap to extremely high altitudes. He also has a great immune system and can live thru extremely polluted water. 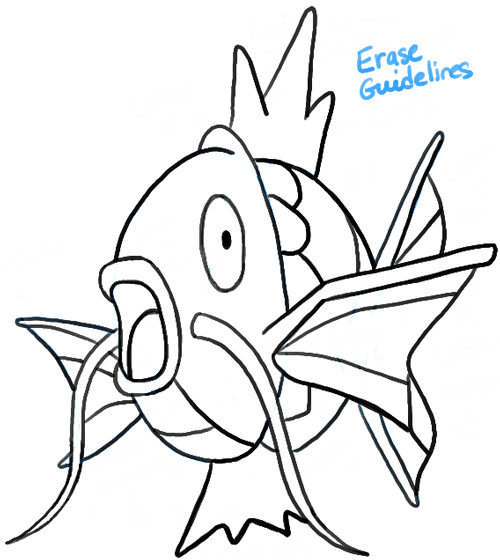 If you would like to learn how to draw this very special Pokemon character, the following drawing tutorial should help teach you. We will guide you step by step thru the entire process. 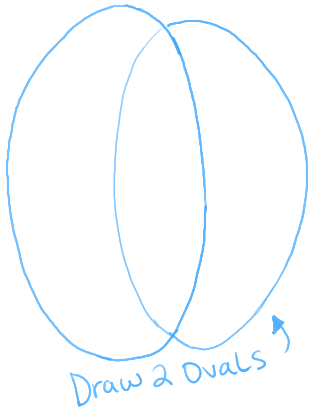 Lightly draw 2 overlapping ovals. – The mouth is a capital letter ‘D’-like shape. – The eye is an oval. 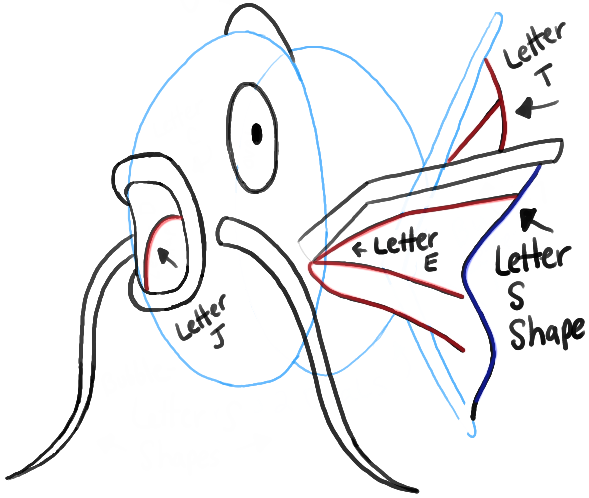 – Draw part of the fin with a sideways capital letter ‘L’. – The whiskers are like bubble-letter ‘S’ shapes. – Outline the mouth with a backwards letter ‘C’. – Draw upside down letter ‘U’ shape on top of the head. 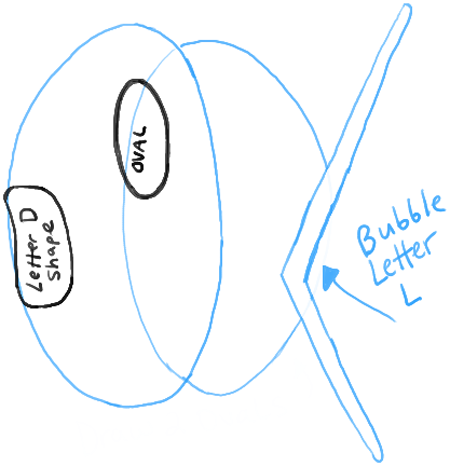 – Also draw another bubble #7-like shape. – Draw upside down letter ‘J’ shape in the mouth. 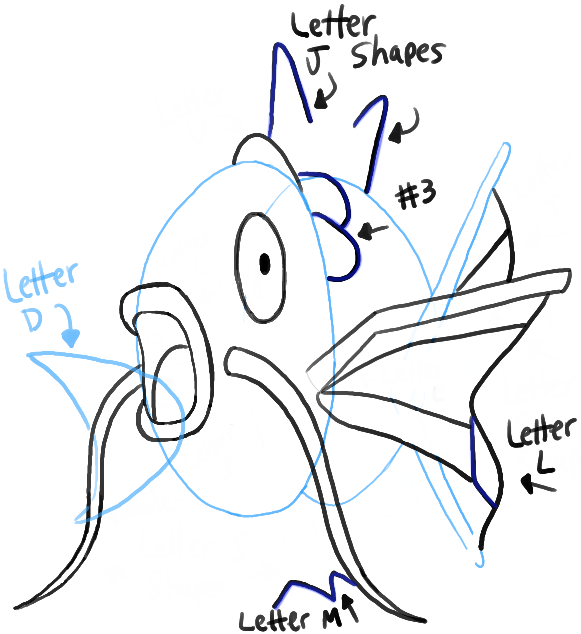 – Draw a capital letter ‘E’ shape in the fins…and a letter ‘S’ curved shape at the right side of the fin. – Draw a letter ‘T’ shape above the fin. – Lightly draw a capital letter ‘D’ shape to the left of the mouth. – Draw two #7-like shapes on top of the fish. – Draw a few more basic shapes as illustrated above. 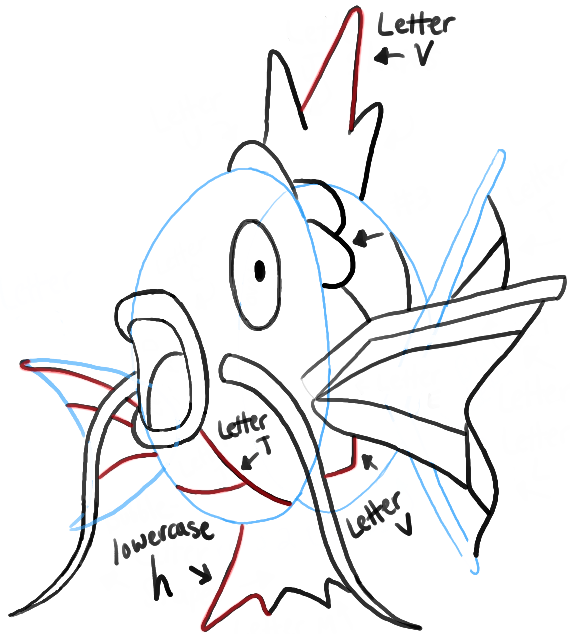 – Draw a lowercase letter ‘h’ shape on the bottom of the fish. 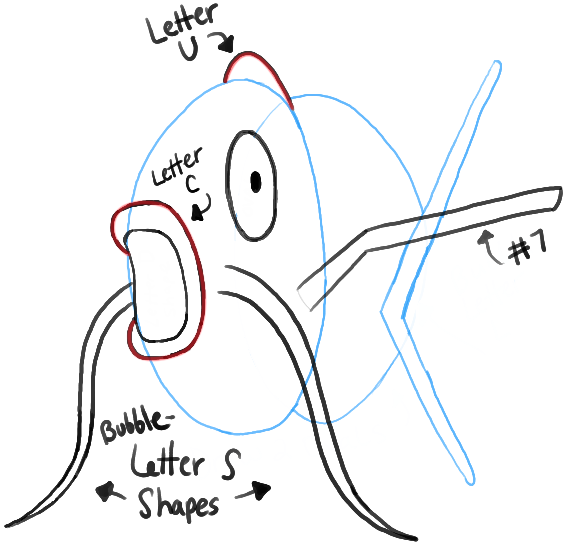 – Draw a letter ‘Y’ and a letter ‘V’ shape on the fish as well as a few other shapes. Erase the guidelines which are blue in this tutorial. 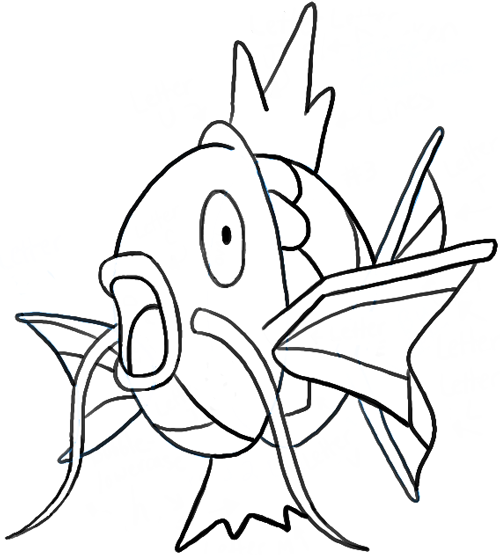 And there you have it, the finished MagiKarp drawing. 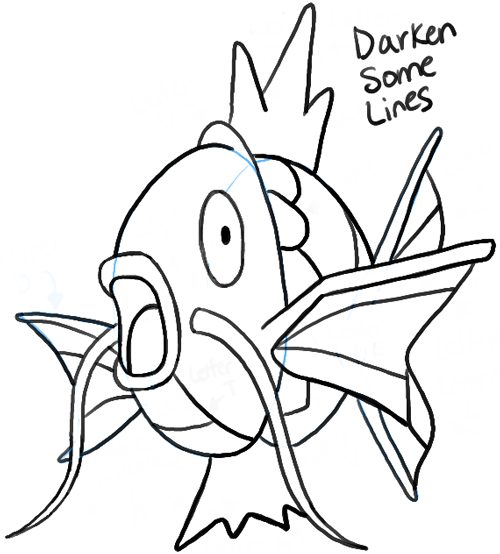 I hope that you had a great time learning how to draw this adorable fish character. Come back for many other Pokmenon drawing tutorials, as well as lessons on how to draw many other things. This article was written on 15 Jan 2014, and is filled under Manga TV Shows, Pokemon, Water Creatures.